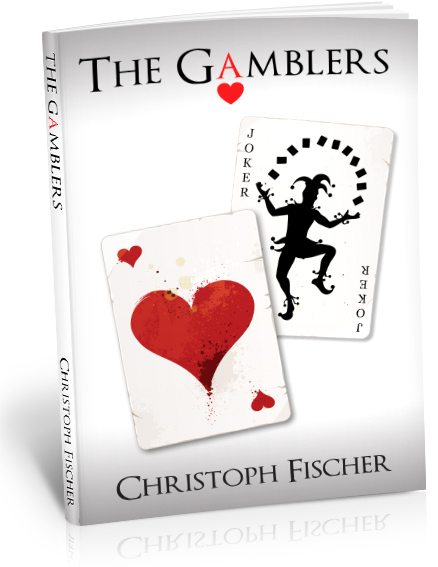 The Gamblers from Christoph Fischer @CFFBooks – a NEW #thriller #mystery – The Diesel-Electric Elephant Company. The Gamblers, from Christoph Fischer. Bored with the gardener? Personal trainer looking a little jaded? Fancy a new #thriller in your life? Well, this one’s only a book I’m afraid, but it’ll still do the necessary if you combine it with your reading glasses, a long sit down and a stiff glass of your favourite falling-down juice. The Gamblers from Mr Christoph Fischer. 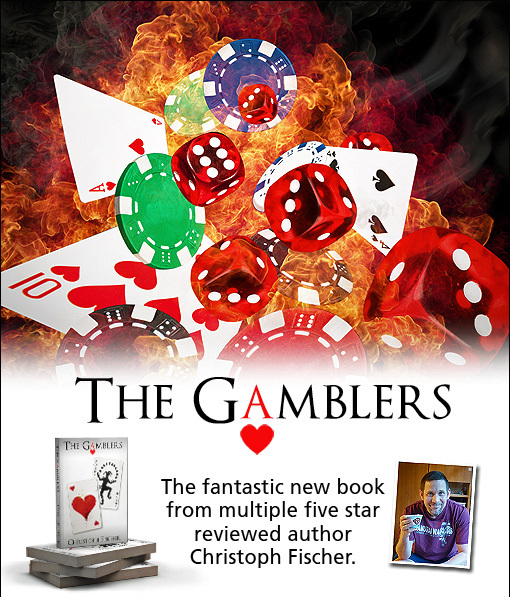 THE GAMBLERS is the story of Ben Andrews a shy accountant who becomes obsessed with numbers and luck. When he wins the Lottery and becomes rich overnight his life changes, but not necessarily in the ways he had thought. Who can he trust, now that he’s rich? How should Ben build his new life? Still frugal and determined not to waste his money unnecessarily he unexpectedly falls under the spell of a charismatic and seductive Russian poker player, named Mirco. They share a passion for gambling but this fascination remains ambiguous for Ben. What follows for Ben becomes a gamble with trust, corruption and ‘betting on the right horse’. The book will be released Monday June 1st. Find the book RIGHT NOW on your local AMAZON and on Facebook among the photos of cats and of people’s lunches. Mr Fischer is the one pictured to the right of frame. The hairy chap to the left is his ghost-writer. A short biography of a long man. The Gamblers was released on the OneTH of June 2015 and you can find the book RIGHT NOW on your local AMAZON by clicking on the electrical link. 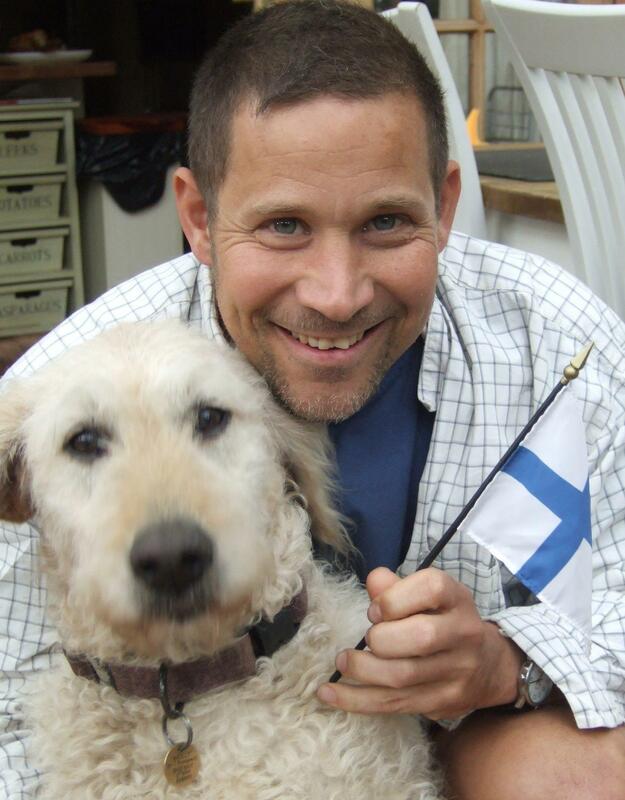 We have no information regarding a release date for Mr Fischer. The Matron of the ward he’s in just shrugged her shoulders and muttered about “still eating the leather straps on his jackets”, convinced that he is a parakeet. Anyway. Mayhap if you’re the bold and adventurous type you might follow the chap on Twitter or the Google+ (Google-ploo). The Gamblers, from Mr Christoph Fischer.